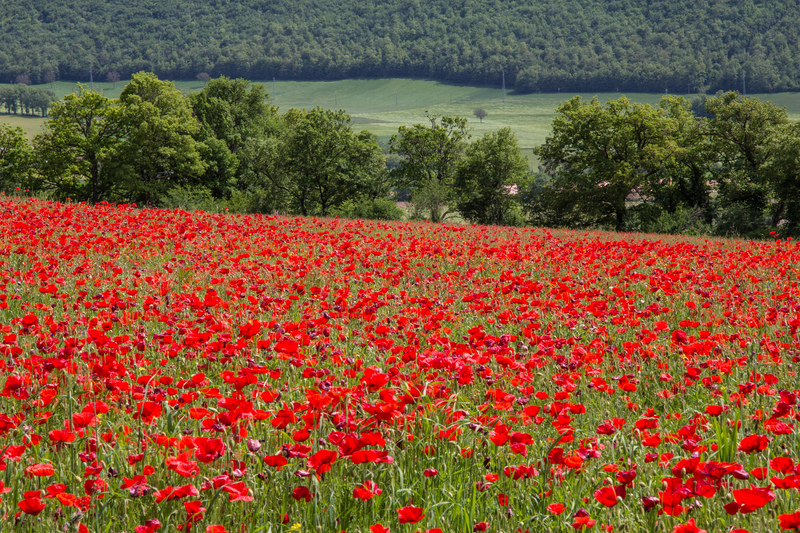 From Tuscany to Umbria, this guided bike tour leads into the Latium. A country of rivers, lakes, and rich history, this is also a deeply religious region. 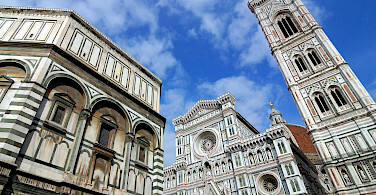 Etruscan towns and history and highlights of the Italian Gothic Era will be the highlights of this fully guided and fully supported tour. You will enjoy unique accommodations and fine cuisine. 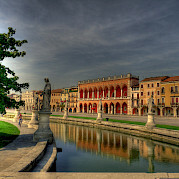 Don't forget we have many other amazing bike tours in Italy along with 100s of other other bike tours in Europe. 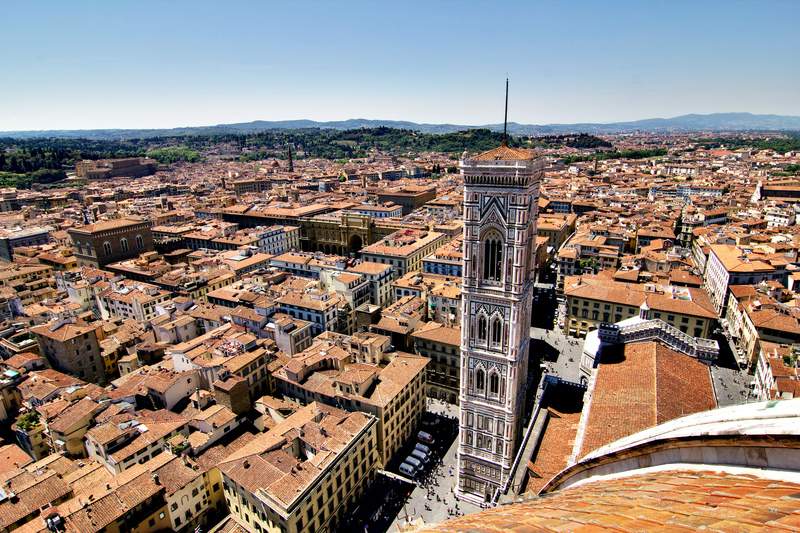 The most convenient airport to fly in to is Florence. 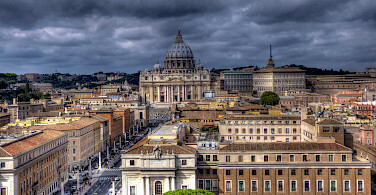 If this is not practical for you, another option is to fly to Rome. 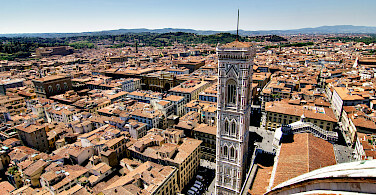 If you fly to Florence, shuttle buses operate frequently between the airport and the main railroad station, Santa Maria Novella. The first hotel of the tour is located about 500 m from the station and within a short walking distance from many places of interest. 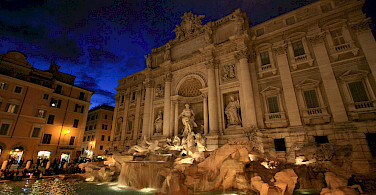 If you fly to Rome, ask us, and we can provide you with details. On the first two cycling days, you will encounter some traffic, but your tour guides are experienced and will be sure that the group is well informed and safe. The remainder of the tour leads through a charming rural landscape. Some sections have short ascents. On Day 7, you can expect a slightly more difficult route with the very difficult stretches covered by transfers. 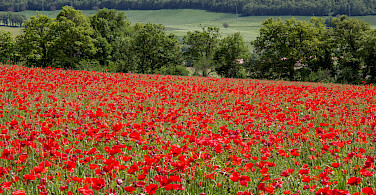 Generally speaking this is an easy to moderate guided and fully supported tour covering 130 miles over 6 cycling days. 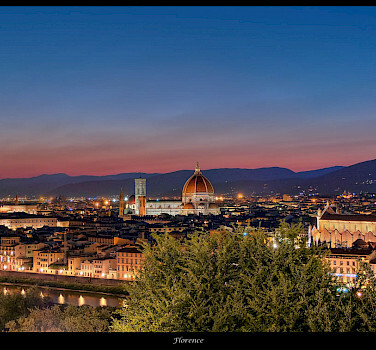 Your tour begins in Florence, city of art. At 5 pm, there is a tour meeting in the hotel loby. 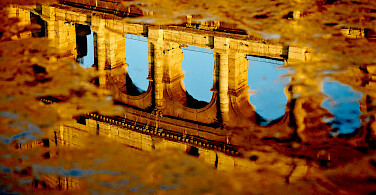 A local tour guide will then provide a guided sightseeing tour. 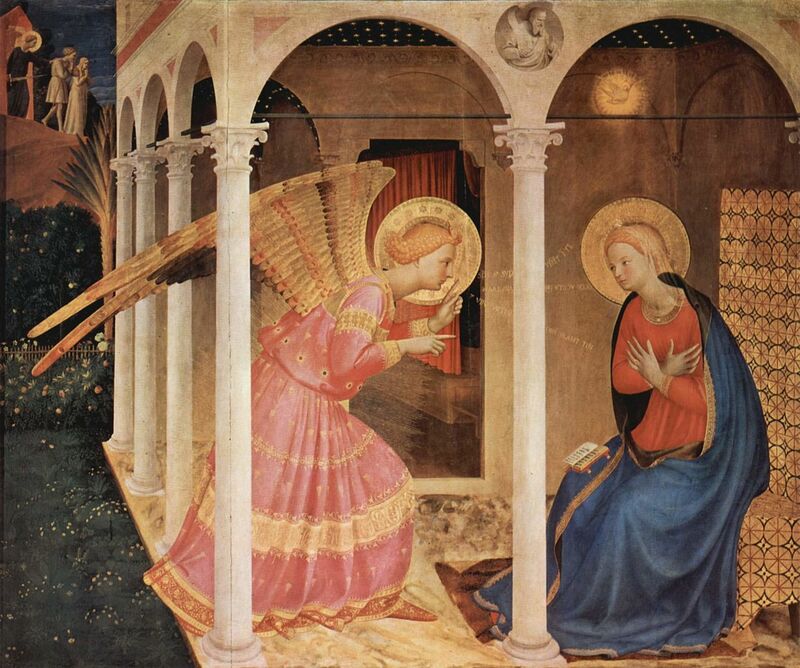 After breakfast, the group departs Florence by train to Castiglione. You will enjoy the views of the hilly landscape. Once on the bike, you will ride straight into the fertile Chiana Valley whose beauty Goethe raved about. Pedaling on via side streets, the route continues south. The smooth ridges are often crowned by mighty forts which go back to the Etruscan settlement. 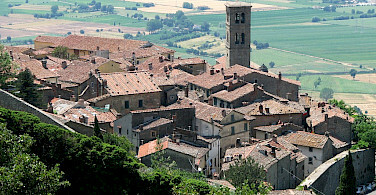 One of the oldest and for sure the most beautiful settlements is Cortona. 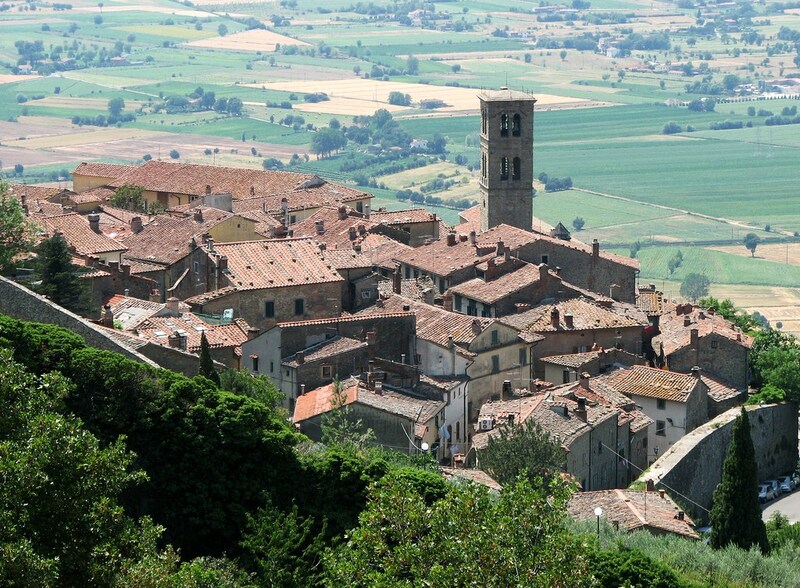 Cortona has an incomparable panoramic view over the Chiana Valley and it´s numerous churches and palaces. You will enjoy a delicious lunch before you ride back to the valley. The destination today is the Villa Piazzano, a with lovingly restored residence and beautiful garden. Just like Hannibal with his Punic army, your approach Lake Trasimeno and pedal across the battlefield where he vanquished the Romans in 217 b.c. As you pedal along the shore of the largest lake of the Apennine peninsula, your backdrop will be the beautiful views of the islands and the hill towns above it. 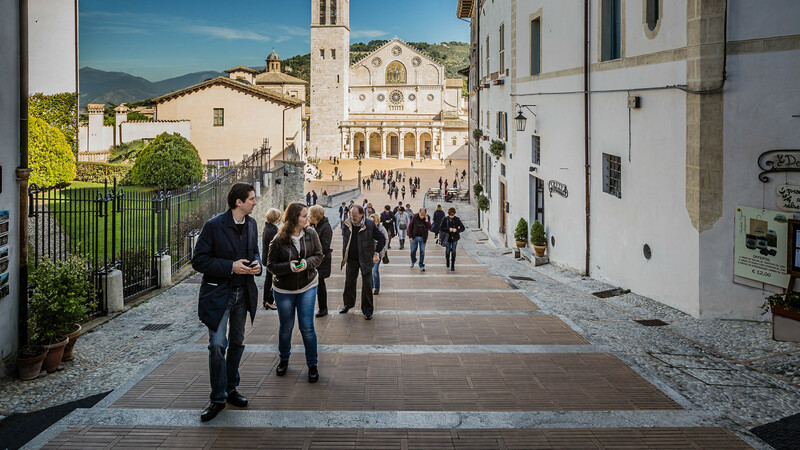 The olive oil from this region is reputed to be Italy's best. 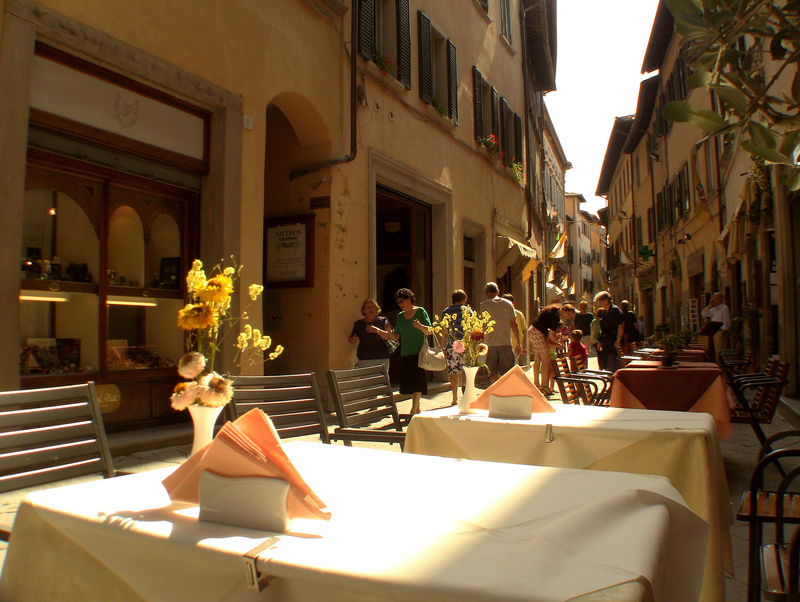 The evening's accommodations, the luxury Brufani Palace is in the center of Perugia. 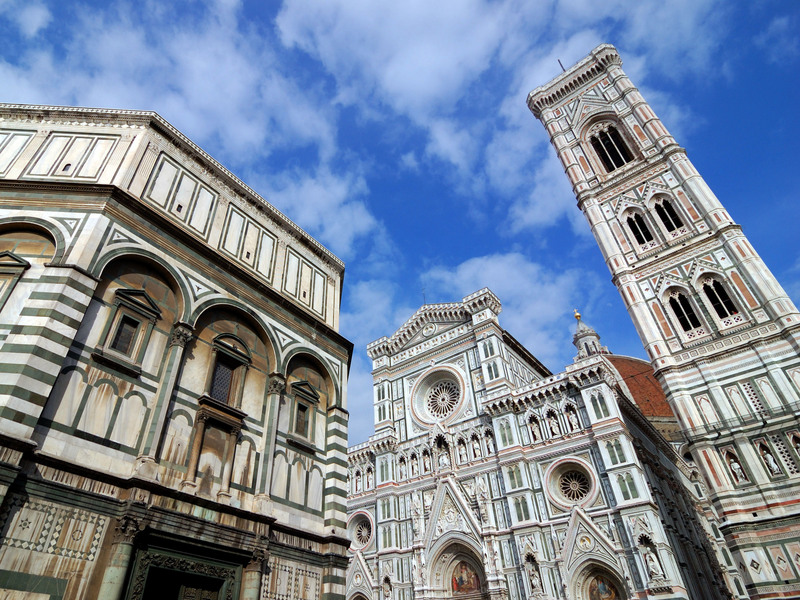 It is the starting point for an afternoon exploration of this architecturally impressive town with its cathedral, the Fontana Maggiore and the Etruscan arch. The gorgeous spa area in this hotel invites you to relax. 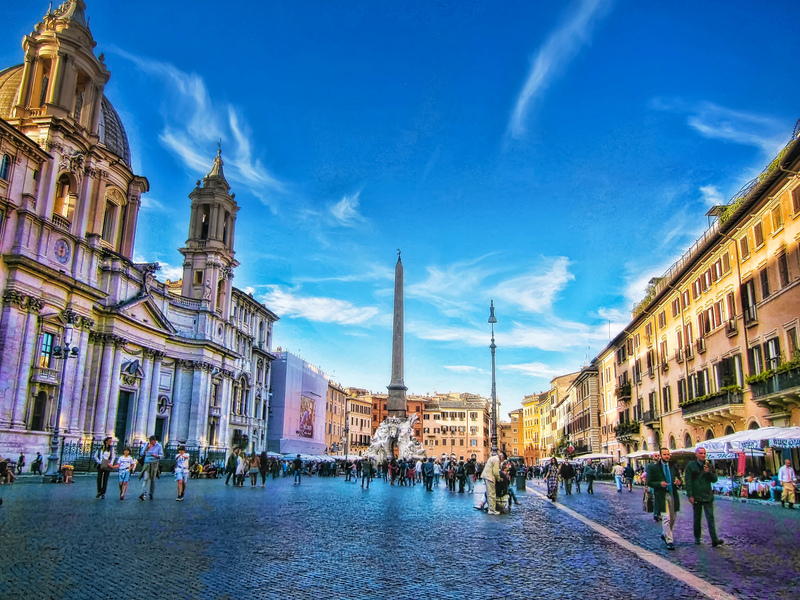 On a guided city walk, you will get to know the extraordinary city with its crooked streets and numerous cultural monuments. A special highlight is the underground part among the Rocca Paolina. There is enough time for an aperitif in one of the many lively places, before you enjoy dinner in one of the best restaurants in the city. 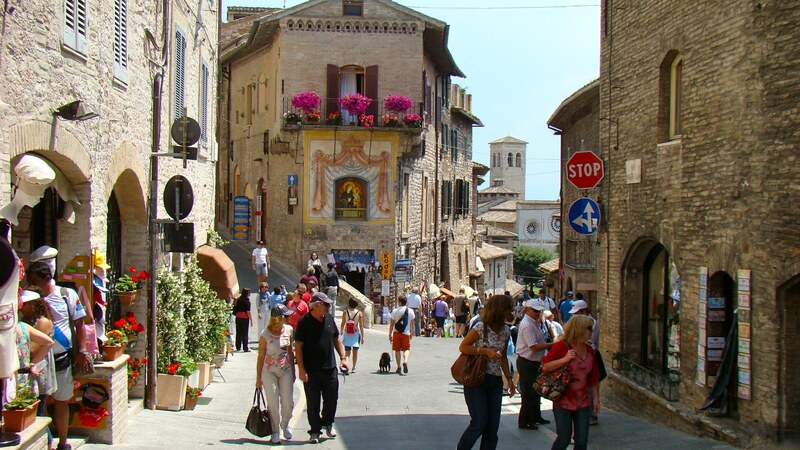 In the morning, we take the bus or train from Perugia to Assisi. 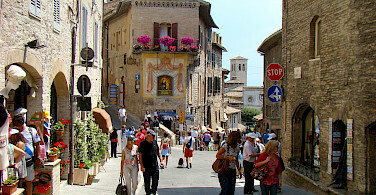 Very few towns in Umbria have preserved its medieval character as well as Assisi. 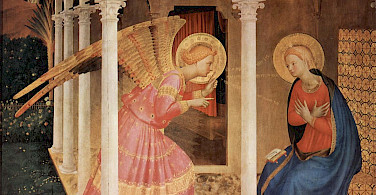 The highlight of your city tour with a local guide is the Church of St. Francis decorated with the wonderful frescoes by Giotto. 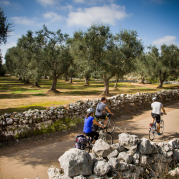 In the afternoon, a cycling tour is scheduled that starts with a panoramic route through the olive groves on the flanks of Mount Subiaso. 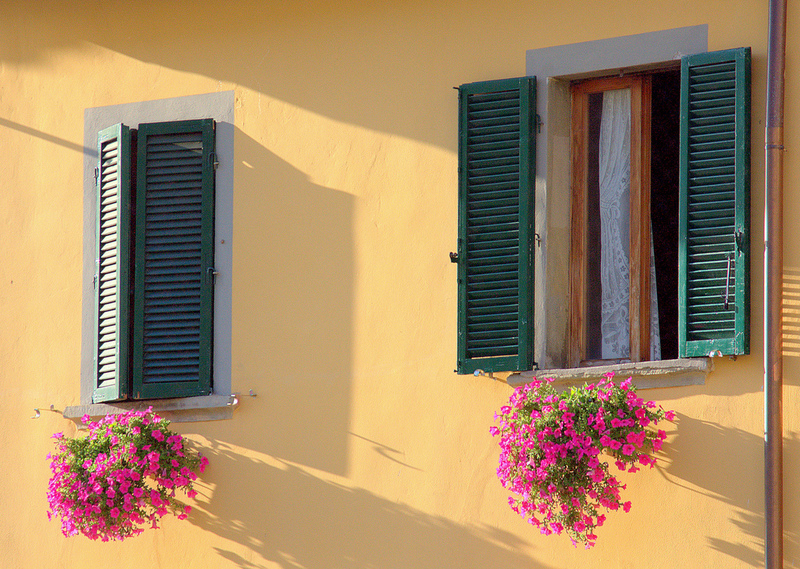 Then via the flower-decorated alleyways of charming Spello, you pedal to Bevagna which has one of the most beautiful village squares in central Italy. Situated a little below Montefalco, the secluded estate of "Villa Zuccari" will accommodate for two nights. 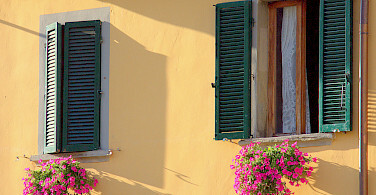 The stately country house of the Zuccari familiy has its origins in the 16th century. 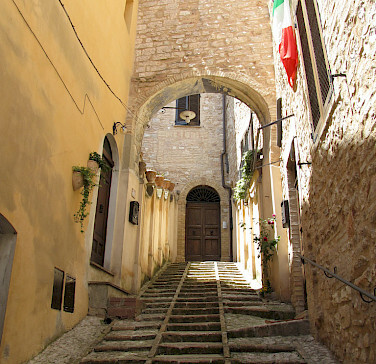 In the morning, you will visit Montefalco – the balcony of Umbria. 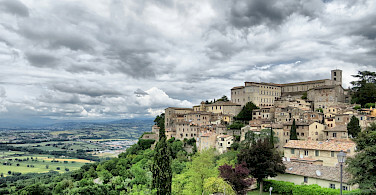 The little town rises high above the environs and offers a fantastic panoramic view of the amazing landscape. 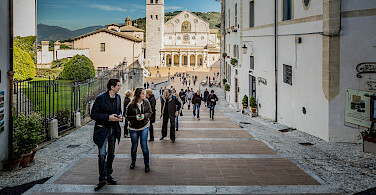 If the weather is good you can look to Perugia and Spoleto. 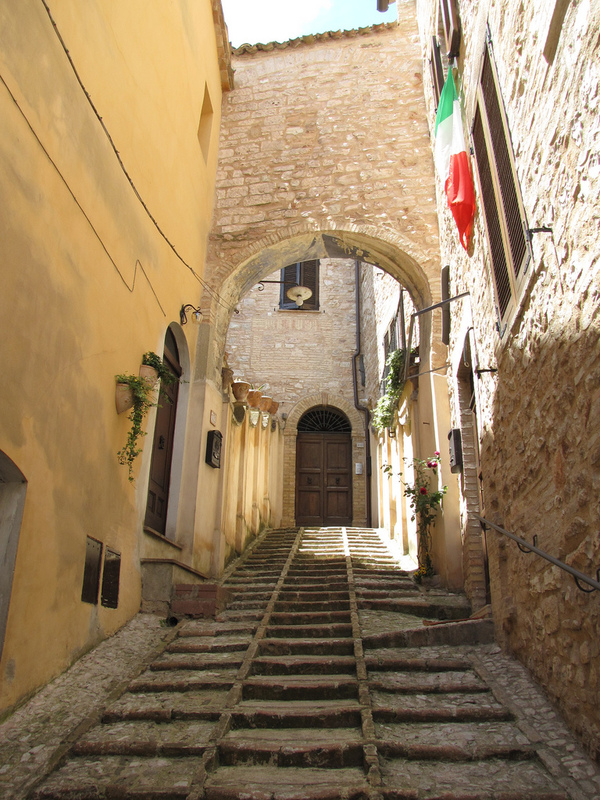 You visit an oil mill founded by Estruscans, and there will still be enough time to stroll around the narrow streets before a pleasant descent takes you down the hill. 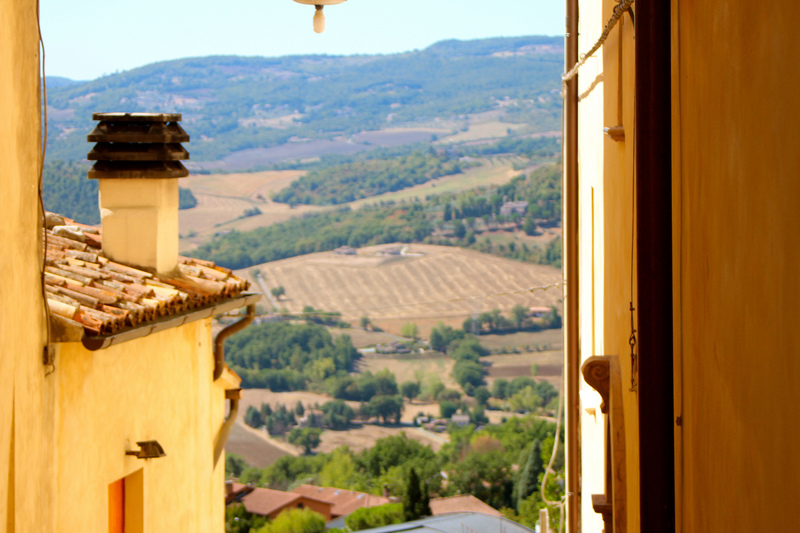 At the sun-spoilt hillsides of Montefalco, some of the best Italian vines produce grapes for wine. 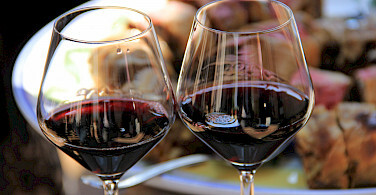 That is surely a reason you will visit numerous vineyards and can be assured of the extraordinary quality of the local products. It is only a short way to the beautiful Villa Zuccari, where the afternoon ends. Our morning route to Spoleto passes mostly on flat terrain. Load your bikes and take an escalator to get to the old town. 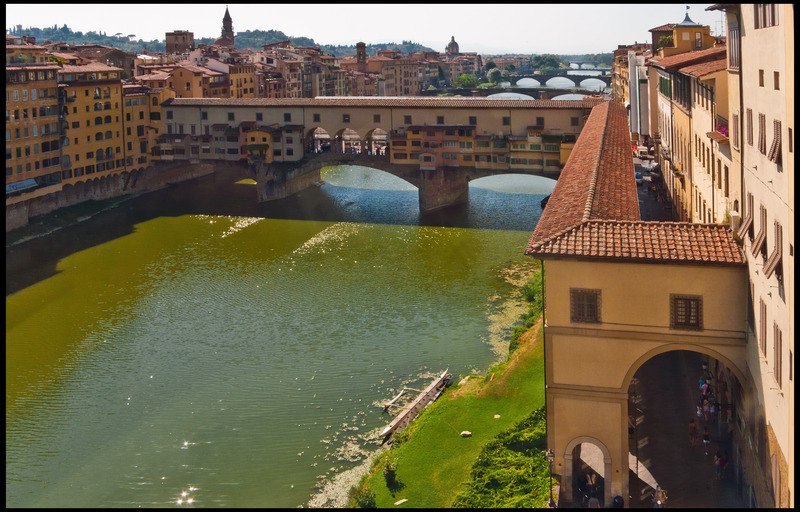 A walk takes you through a maze of narrow streets and places to the cathedral and the Ponte delle Torri. After that a bus takes you to a place called Piediluco, situated directly on a beautiful lake. After having lunch, you could even take a refreshing bath before cycling southwards. Soon you will have reached the border to the Latium region. The landscape seems to be wilder here. Your destination for today is the beautiful city Rieti which luckily was spared from the earthquake in August 2016. 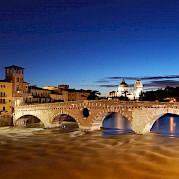 Your lodging is located on the river and in the pedestrian street of Rieti, in the Hotel Cavour. 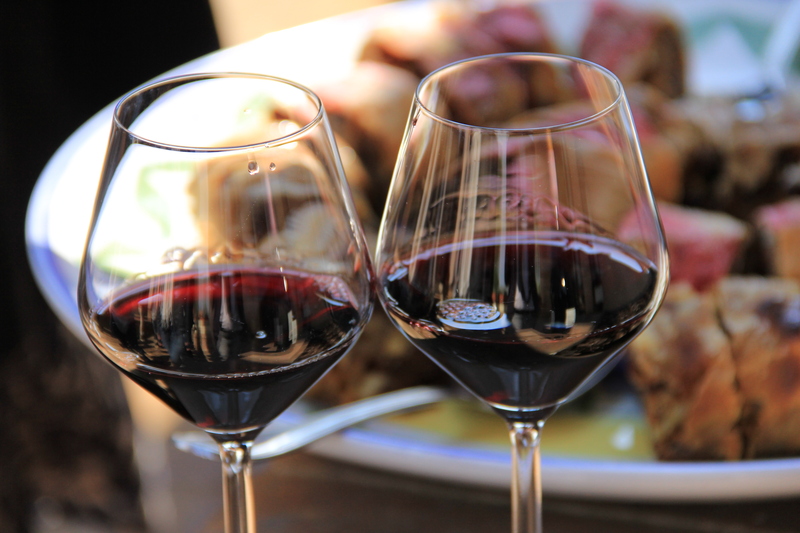 As on Sunday lunch is included in the tour price, the evening is free to spend how you wish. 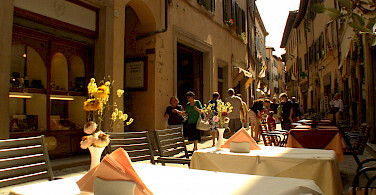 There are numerous excellent restaurants. After breakfast a bus transfer takes you up to the Sabine mountains to the Lago del Turano. Craggy cliffs tower high in the air all around the lake. 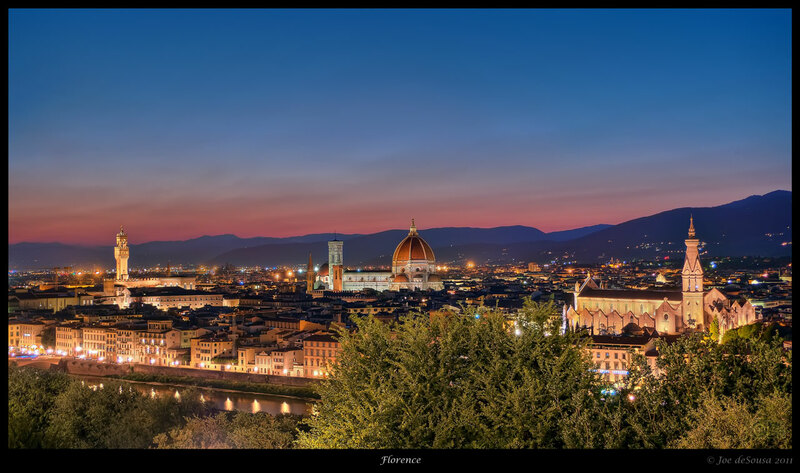 It is hard to believe that you are just a few miles away from the rolling hills of the Tuscany and Umbria region. Passing the little town Castel di Tora, you cycle along the lake. The number of inhabitants of this isolated mountain town have been decreasing for the last century. The young people move to the cities to search for jobs, while the older generation have stayed. The route continues through indent landscape before the bus takes you to Rome. 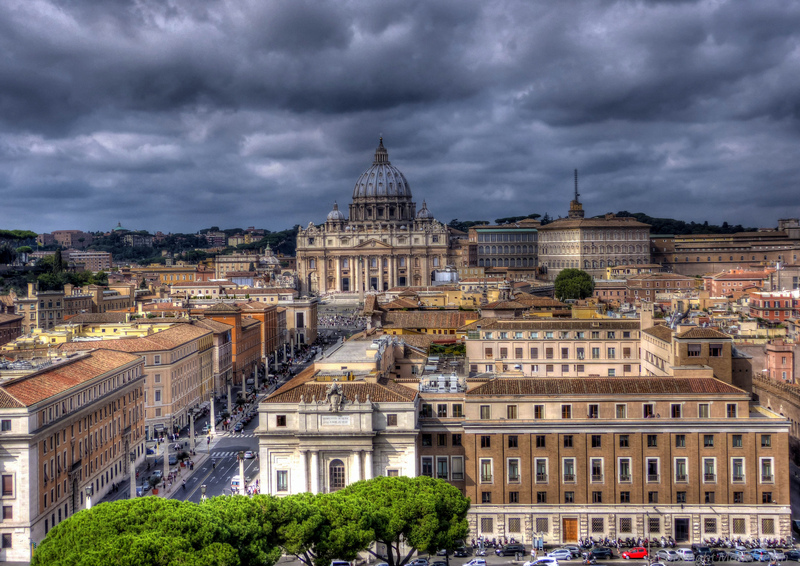 Only 300 meters away from the Colosseum, the comfortable Mercure Centro Colosseo awaits you. 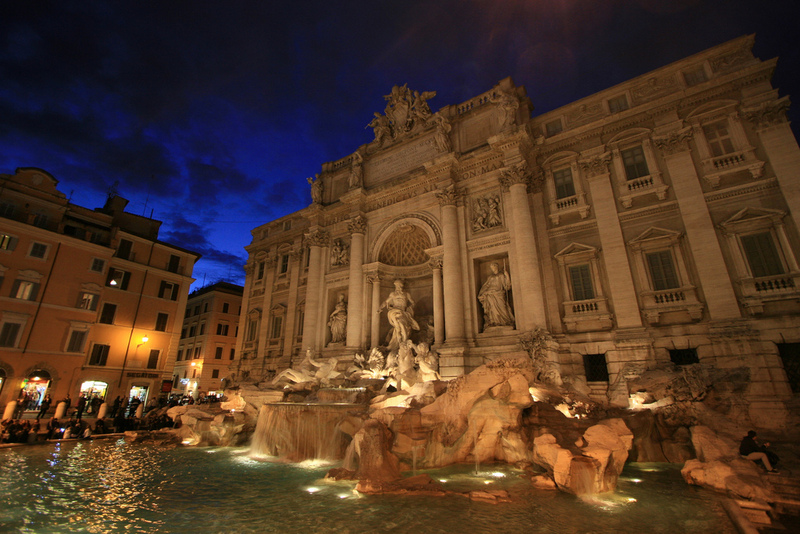 There is enough time for a city walk to the Colosseum or to take an aperitif before meeting for dinner in a typical restaurant. 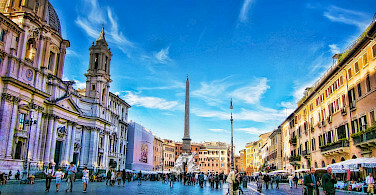 In the morning, a city walk with your tour guide is offered through the antique part of Rome. 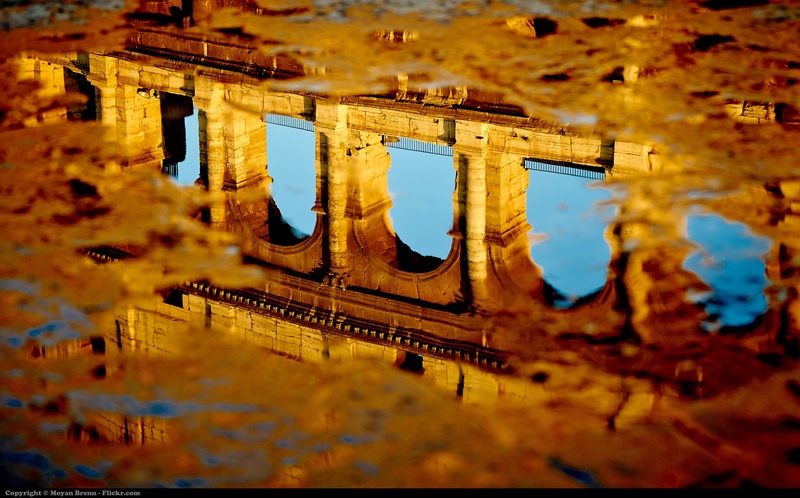 Visit the Colosseum (from the outside) and the Forum Romanum. The walk ends at the statehouse with a wonderful panoramic view over the city. By noon your trip ends back at the hotel. If you are not traveling by train there are also good connections to reach the airport. 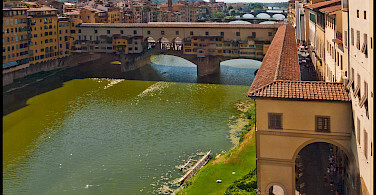 If Florence and Umbria isn't your thing, be sure to look at our featured bike trips, specials, and news. The trip was superbly put together logistically. Excellent guide. Great accommodations.